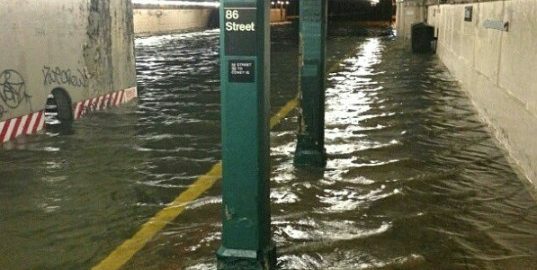 As we know, climate change is ramping up our weather to unprecedented extremes. And those extremes have their greatest impact on large cities, where most of the globe’s population lives. Think of Hurricane Katrina in New Orleans, Sandy in New York and Harvey in Houston or unprecedented drought-fueled wildfires in West Coast cities. We call them natural disasters. But how natural are they? It’s not just that human activity is causing climate change. It’s also that our social and economic arrangements are making the impact of climate change much worse. They also keep us from being able to respond effectively to those impacts. 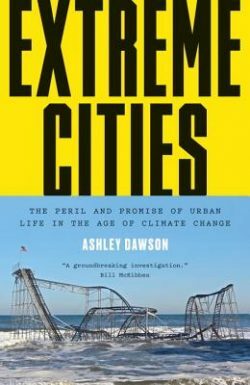 Ashley Dawson’s book Extreme Cities explores how climate change, capitalist urban development and extreme inequality are inextricably linked. New York City is his prime example, but he also travels further afield, to places like Louisiana, Indonesia and the sprawling megacities of the African continent to show how the global drive for profits and endless growth are endangering our survival. Ashley Dawson is an author, activist and professor of English at the CUNY Graduate Center, and at the College of Staten Island, CUNY. In addition to Extreme Cities, he’s the author of several other books, including Extinction: A Radical History and has co-edited four essay collections. He is a long-time member of the Social Text Collective, where he served for many years as editor of Social Text Online. Hear Ashley Dawson talk about the Hurricane Sandy relief effort in NYC that was spearheaded by Occupy Sandy.